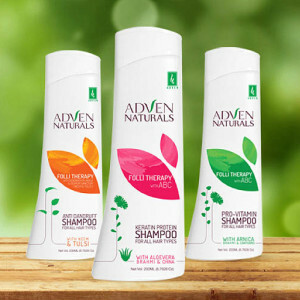 Attract customers to your products with beautifully designed shampoo labels that encourage a closer look. Studies show using a fun, readable font and attractive graphics will increase your brand’s memorability. 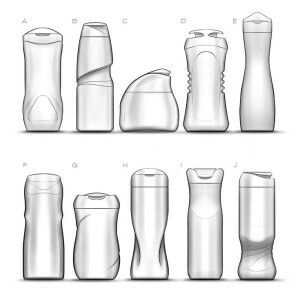 We offer a wide variety of UV inks, permanent adhesives, laminate finishes and flexible film that is perfect for squeezable shampoo bottles. We want to ensure your shampoo labels not only look great, but don’t peel or rub off in the shower. Product quality is the key for additional purchases. Anything you are writing to truthfully market your formula, must be emphasized. Consumers are very smart and willing to pay more for a quality advance formula creation. Set yourself apart from the competition. Making an impulsive connection is not just throwing a label on a shampoo bottle. The consumer will notice your product immediately and that you are providing a better hair solution based on the container shape and color, label design, dispenser or closure. Price is a factor but secondary to the solution the customer is seeking. Help enhance your products with compelling copy and creative art designs. Important steps for perceived value. FOR EXAMPLE: Asian women are known for their beautiful straight hair. Jasmine Organic Shampoo is a product that polishes each strand of hair with it’s organic sulfate free formula. The proprietary keratin blend activates each root follicle, repairing any damage at the root base. The health of your hair will rejuvenate with luxurious manageability from the enhanced neutralizing protein blends and organic aloe vera concentrates. The complimentary organic conditioner incorporates a blend of keratin, avocado oil, starflower seed oil and shea butter to promote moisture and shine. All products are animal free laboratory tested and bottled under strict conditions in the US. Blue Line Labels prints your high-quality shampoo and hair conditioner labels on a wide variety of clear “no see” films. We can also help refresh your design and bring new life to your brand and bring the best option for hair care products. We offer a wide variety of UV inks, permanent adhesives, laminate finishes and flexible films, perfect for squeezable shampoo bottles. Blue Line will deliver shampoo labels that not only look great, but will be waterproof in a wet shower. This label is printed with 2 Spot Colors on Waterproof White BOPP Stock to blend into the container. A great shampoo formula will transform your dry, damaged or oily hair into a healthy and manageable hairstyle that looks and feels better. Not all shampoos and conditioners are created equal. Countless choices can be overwhelming. So you as the hair care guru need to clearly make it easy for the consumer to choose what will work best for them and you will have a longtime customer. Blue Line Labels can help you go from your current look, to a fresh updated redesign for a nominal or no additional art charge. Package branding, company image and container design conveys your product message. Are you sending the proper message to the customer? Consumers purchase solutions and if your product solves thinning hair, dull hair, straightens the curls, bring healthier hair back, or any number of issues you need to market this clearly in a split second. Contact Blue Line Labels at 1-800-609-7079 for all your custom hair care label needs. We Carry Over 50 Pressure Sensitive Film and Vinyl Materials along with protective laminates. Each material has unique properties for special purposes. Thousands of standard die cut label sizes are available for fast delivery. 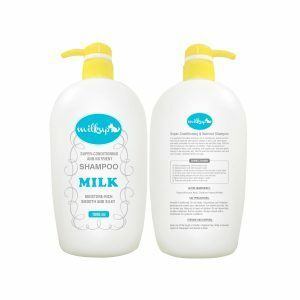 Blue Line Labels specializes in cost effective shampoo labels, creative design and can provide full service packaging needs. Design starts with the container and we would like to be part of the selection process and even go visit the container manufacturers with you. Blue Line Labels works closely with most container companies in South Florida.